The conjunction of Mars and Saturn in Scorpio has just begun. 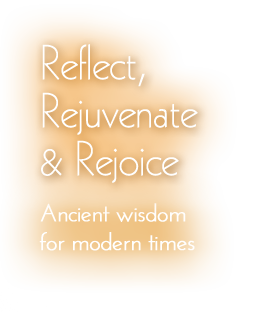 This is one of the most significant events in Vedic astrology, or Jyotish, for 2016. As the two great malefics in Vedic astrology, Mars and Saturn together is akin to driving with one foot on the gas and one foot on the brakes simultaneously. With a Mars and Saturn conjunction, fire and ice collide. Historically, Mars and Saturn together have produced global conflict, political tension, and natural disasters. Mars (or Mangal) is the hot planet of aggression, ambition, competition, action, and conflict. Saturn (or Shani) is the cold planet of obstruction, challenges, delays, discipline, responsibility, and adversity. Mars represents your siblings and Saturn denotes your subordinates. The battle is waging in the intense, deep sign of Scorpio. Scorpio can represent transformation through crisis. Secrets and inner tensions are likely to surface at a high price. Mars rules the sign of Scorpio. In Jyotish, a planet at home in its own sign is said to protect the matters related to whatever Scorpio signifies in your individual chart. (This depends on your rising sign in Vedic astrology.) However, Mars is very destabilized by having solitudinous Saturn as its roommate. Mars likes to be daring; Saturn is cautious. Mars likes to be in charge. Saturn doesn’t want to be told what to do. Mars is impulsive; Saturn is strategic. 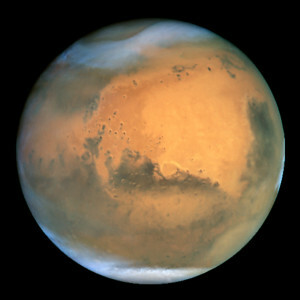 Typically, Mars only occupies a sign for six weeks. However, this time it has a seven month stay at home. Mars and Saturn are both “bhumy karakas” or significators of “earthy” matters and property, so those could be adversely impacted as the planets grow closer. As this pairing is taking place in watery, but hidden Scorpio, there is the potential for underwater eruptions and disasters. Additionally, Mars and Saturn signify technology. There can be breakthrough innovations, intermixed with struggles. It’s an ideal time for research and there are likely to be medical breakthroughs, as Scorpio signifies chronic health issues. Mars and Saturn create a determination to get things done. “It’s my way or the highway.” There’s a drive to accomplish things on your time frame and only as you see fit. This can literally wear you and others out trying to meet the deadline of having it done “by yesterday”. The result could be long-term health problems. As Mars and Saturn represent the blood and muscle tissue, respectively, in Ayurveda, you’ll feel a greater urge to be active during this time. Be careful of injuries which can result from recklessness. Spend time communing with the earth. Pushing yourself relentlessly can push Pitta (Mars) and Vata (Saturn) out of balance. Take Ayurvedic tonics to support the circulatory system and ease fatigued muscles. Planting and gardening are also ways to pacify tension during at this time. The Mars and Saturn conjunction lasts from February 20 through September 17, 2016. There will be a brief period when Mars moves into Libra during its retrogression cycle. The two planets will be closest together on August 24. On an individual level, those in a Mars or Saturn planetary cycle will be most impacted. You also want to see what house of the zodiac Scorpio represents in your Vedic astrology chart. This can be a very intense period. More details will be posted on my Facebook page. An individual astrology reading can help you determine what the impact may be of Mars and Saturn in Scorpio. 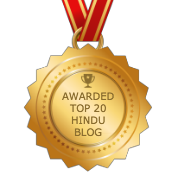 I subscribe to various sites for free newsletters about Jyotish. Most of them advise avoiding signing any new contracts or entering into deals near or on the eclipses. Occasionally I see the advise to start new ventures on a solar eclipse because it will generate monetary wealth. This seems like very bad advise to me. I know rahu is typically associated with the solar eclipse and even though a force like that could generate physical wealth, it seems like it would be typical of all the rahu stories- never enough- never satisfied. Is this something that only certain schools of thought recommend? I don’t know of any schools of traditional Jyotish which would advise doing anything in the outside world during an eclipse. I guess it depends on the person’s training. 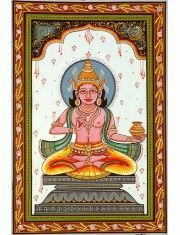 Either Rahu or Ketu causes the solar eclipse. One of the nodes has to be with the Sun. In this upcoming eclipse, Sun will be with Ketu. Ok- http://www.indastro.com is always recommending it. I thought it was weird and didn’t follow the advise. Ketu is always associated with poverty and Mystics/ saints so I wonder why they would say this advise during any type of solar eclipse. I also did notice that the eclipses happen near both nodes because of my personal chart- which has a similar ketu sun placement- I never understood why rahu is associated more with solar eclipses but there are always new things to learn! Always love reading these posts! So informative! I was just assuming they were associating rahu because of how the nodes always aspect each other. I couldn’t figure out why else they would think it would produce high monetary wealth. The Sun rules gold, which is a symbol of wealth. But the eclipse would not be beneficial for that since the Sun is not visible. PEOPLE IN THIS WORLD TODAY DO NOT KNOW THAT HINDUISM IS BEFORE ALL ISM. WE ARE CONNECTED TO THE COSMIC ENERGY AND DEPENDS ON OTHER PLANETS FOR OUR SURVIVAL. WHEN THEY BECOME WEAK THE EARTH BECOMES WEAK ALSO. THERE ARE NOTHING CALLED CLIMATE CAHNGE. 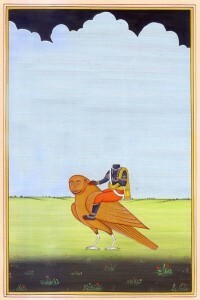 IT IS THE FOUR CYCLE OF THE UNIVERSE, SATYUG,TRATAYUG, DWAPARAYUG AND NOW THE KALIYUGA. WHEN THIS COME TO THE END, WE HAVE TO GO THROUGH THE PERIOD OF DARKNESS TO REHABLITATE THE UNIVERSE AND ALL PLANATERY SYSTEM.